SAN DIEGO (AP) — California health officials reported Tuesday that 111 terminally ill people took drugs to end their lives in the first six months after a 2016 law made the option legal in the nation's most populous state. The data was part of the California Department of Public Health's first report on the law since it went into effect June 9, 2016. According to the data generated from forms doctors were required to submit between June 9 and Dec. 31, 2016, a total of 191 people received life-ending drugs after being diagnosed with having less than six months to live and 111 people took them and died. Another 21 individuals died before taking the drugs. The outcomes of 59 others who received the prescriptions were not reported by their doctors within the six-month period, according to the report. Of those who died, 87 percent were 60 years old or older, most were white, college educated, receiving hospice or palliative care and had health insurance, either provided by the state or private carriers. The median age was 73, and the majority had been diagnosed with terminal cancer, according to the report. A total of 173 doctors reported prescribing life-ending drugs for their patients. How the new law is used in trend-setting California could provide a window to what would happen if the practice spreads across the U.S. Doctor-assisted deaths are also legal in Colorado, Montana, Vermont, Washington state and Washington D.C.
California officials said caution should be exercised in trying to draw conclusions from the report that is based on only six months of data. 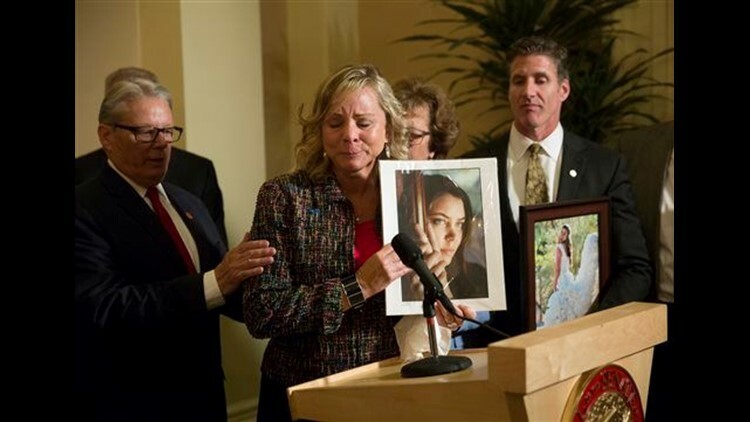 The law passed in California after 29-year-old Brittany Maynard, who was dying from brain cancer, had to move to Oregon in 2014 so she could end her life. Christian Burkin, spokesman for California Assemblymember Susan Talamantes Eggman, who helped write the law, said while the data is limited, the numbers showing who took the drugs and also how many requested the prescriptions but did not take the drugs indicate the End of Life Option Act is being implemented as Eggman and the other authors of the law intended. "Basically it mirrors the experience in Oregon," Burkin said. Oregon, which has one-tenth the population of California, was the first state to adopt such a law in 1997. It reported 204 people received life-ending prescriptions last year, and of those, 133 people died from ingesting the drugs, including 19 recipients from prior years. Most were older than 65 and had cancer. Some see providing the choice to the dying as a logical evolution in a medical care system advanced in helping people live longer but limited in preventing slow, painful deaths. Eggman will chair a state hearing this fall that will take a deeper look at how the law is playing out in California and include the testimonies of families with terminally ill people who have used the law.